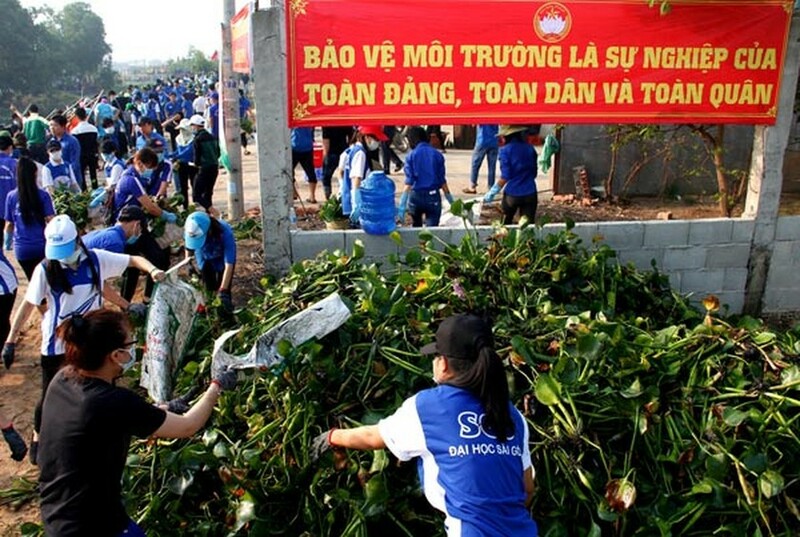 The 2017 Youth Month program was launched in Ho Chi Minh City’s 24 districts under the theme “Ho Chi Minh City’s Youth join hands to build modern rural areas and civilized urban areas” on February 26 with the participation of ten thousands of local young people. Highlight activities of the event are the 120th “Green Sunday” and the 8th “Knowledge – Young Scientist Volunteers” program. Under the Knowledge – Young Scientist Volunteers” program, groups of volunteers will join activities to support people in rural areas, such as new rural and economic development, methods for getting rid of garbage disposal odors, beef breeding, shrimp and crab farming and safe fruits and vegetables planting. Held annually by the HCMC City Committee of the Ho Chi Minh Communist Youth Union, the 2017 Youth Month aims to mark the 86th founding anniversary of the Ho Chi Minh Communist Youth Union (on March 26). The event will run until March 31 as well as educating young people on the position and role the Youth Union plays in socio-economic development, nation building and defence. On the same day, the 2017 Youth Month program was also kicked off in the Mekong Delta province of Dong Thap with the participation of more than 2,000 thousands of local young people. 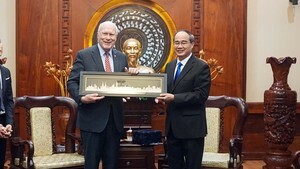 Attending the opening ceremony were Deputy Prime Minister Vuong Dinh Hue and leaders of relevant departments. 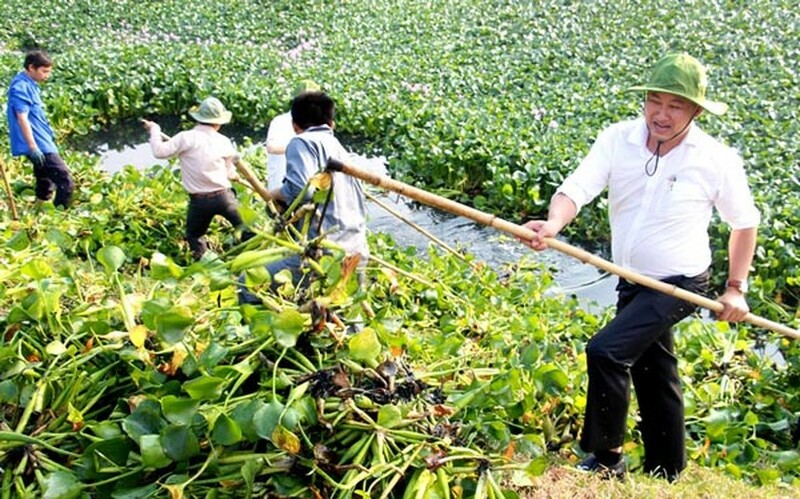 Vice Chairman of the People's Committee of Ho Chi Minh City Le Thanh Liem (white shirt) and young people cleared water-fern at a canal. 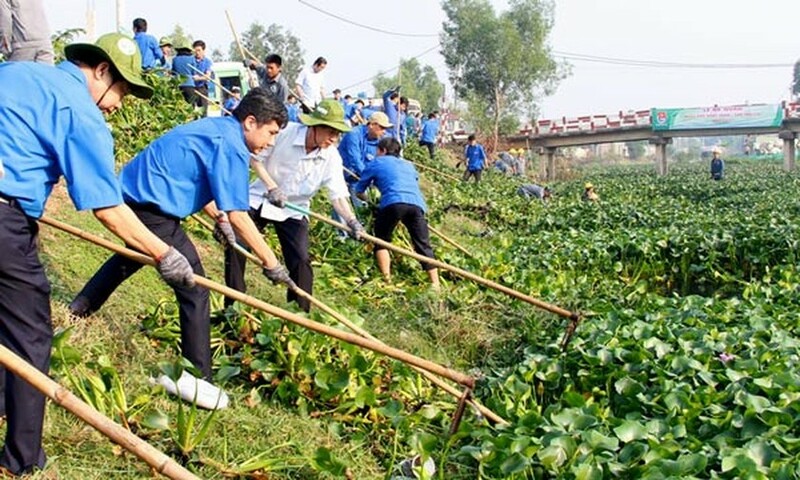 Hundreds of volunteers clean up Cau Suoi canal in Binh Chanh District. Chairman of the People's Committee of Binh Chanh District Tran Phu Lu join the activity. 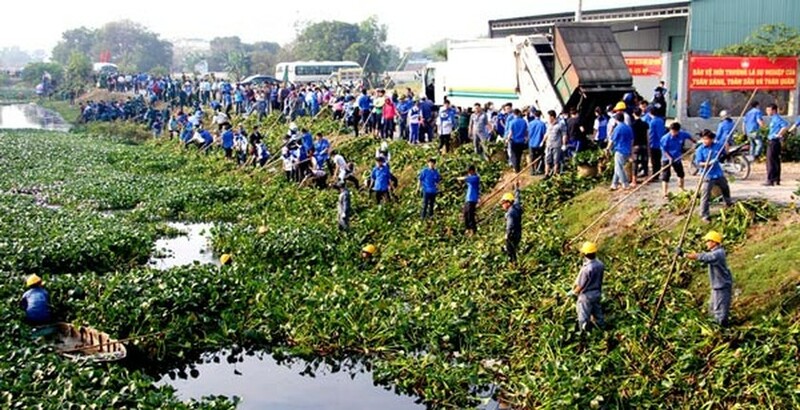 Hundreds of volunteers participate in environmental protection movement. 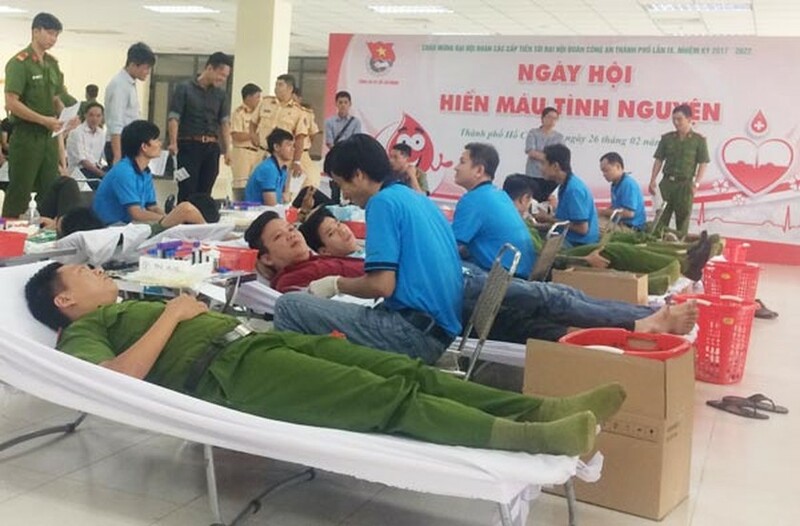 Union members of the Ho Chi Minh City Police Department donated blood.